claims that rooftop installations had damaged the roof and as a result water was finding its way into the building. 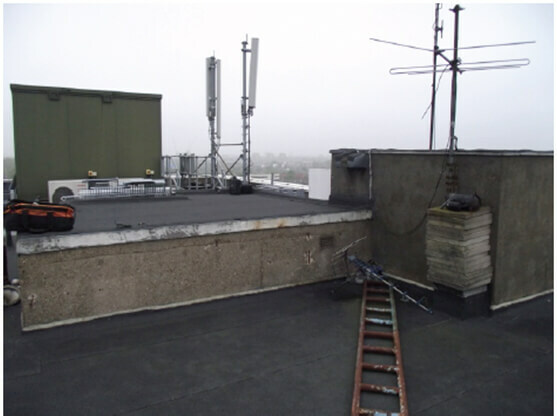 We were able to prove that the telecoms installations had caused damage and needed removing to facilitate roof repairs and that removal costs should be borne by the telecoms installer. Surveying this sort of installation needs to be well planned since telecoms masts need turning off to facilitate safe working.